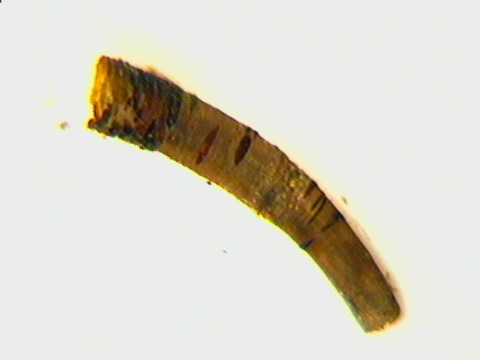 * The following identification is a "best guess." 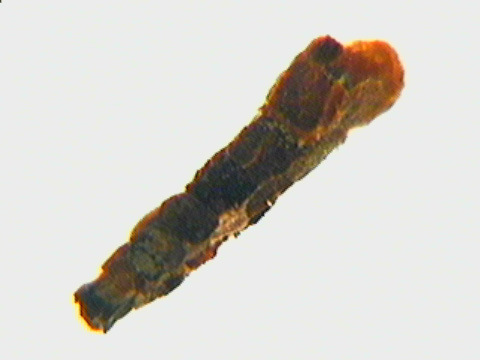 The case includes several larger stones near the head-end. 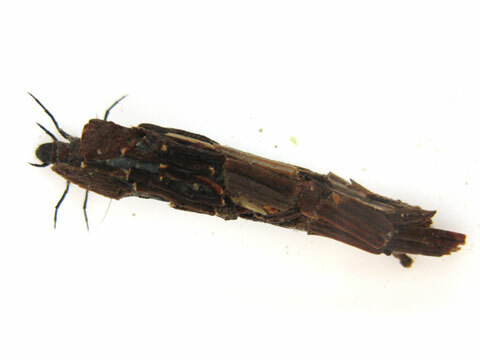 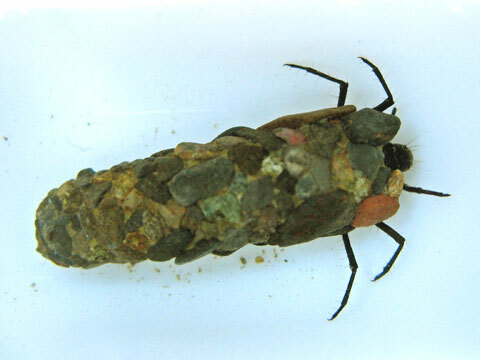 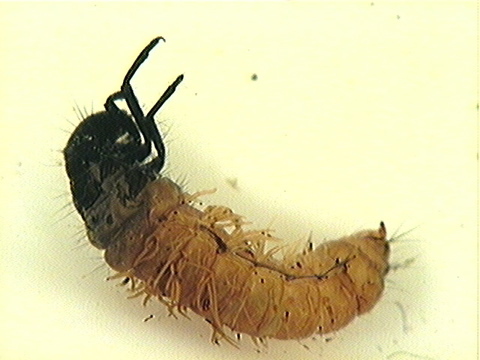 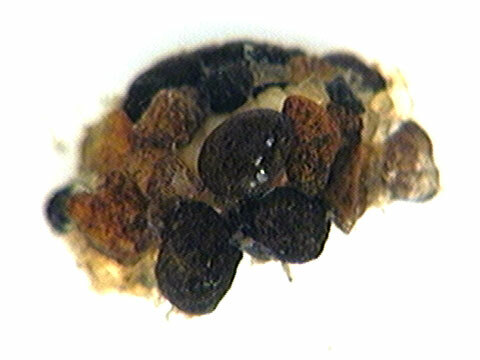 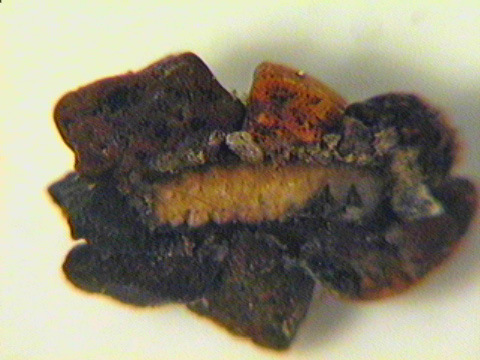 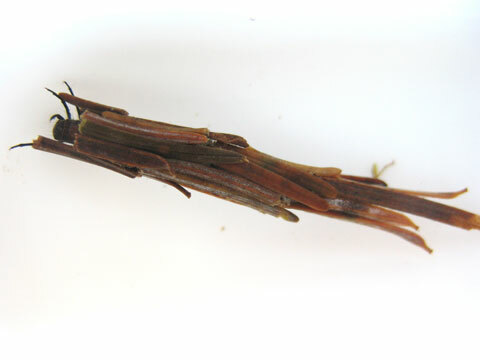 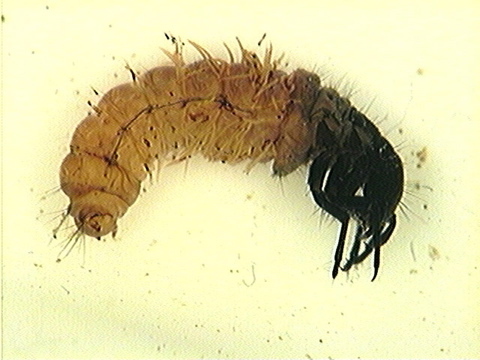 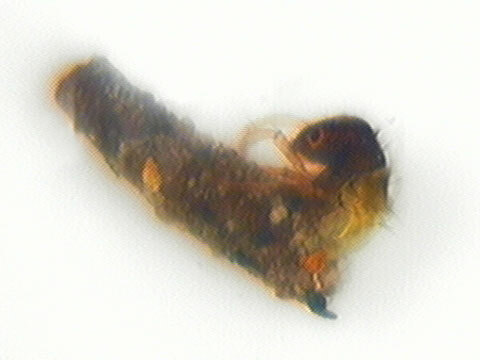 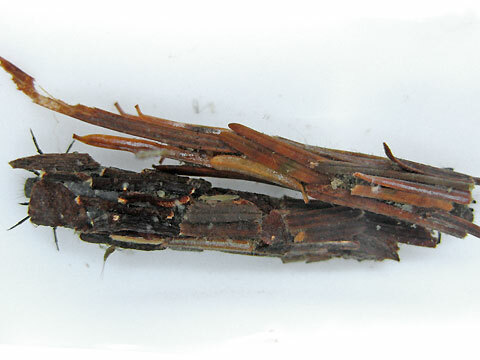 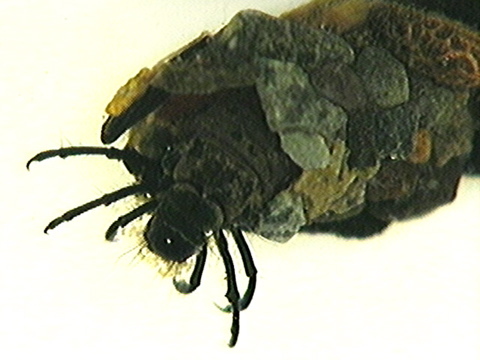 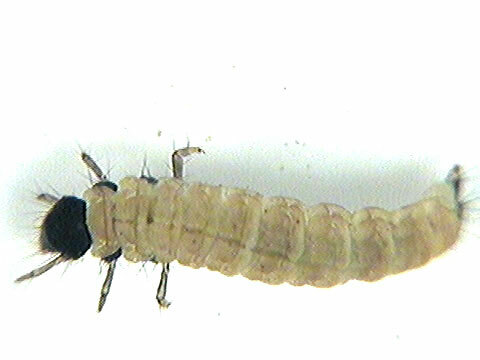 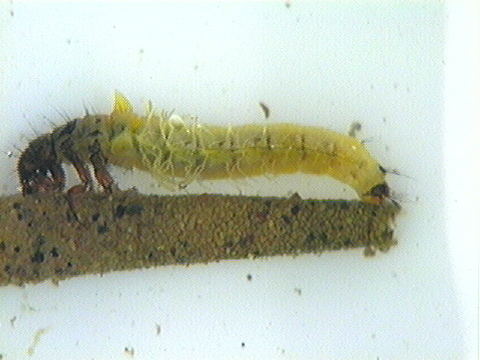 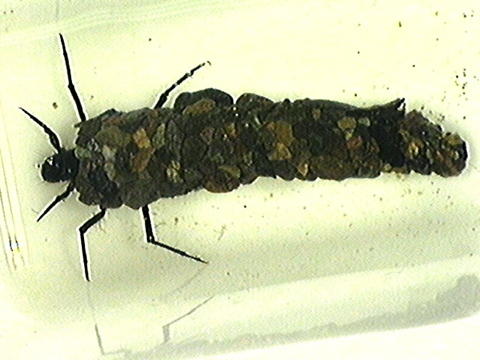 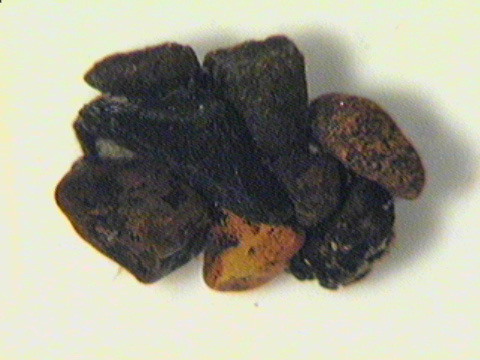 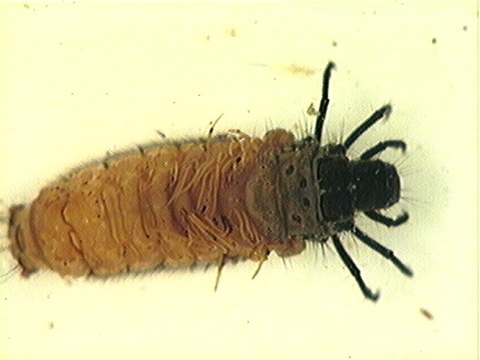 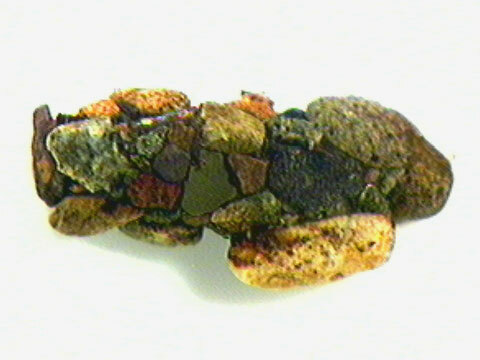 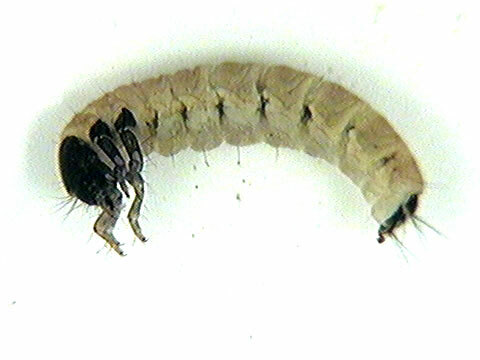 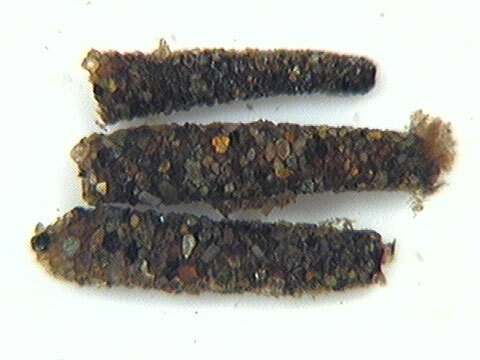 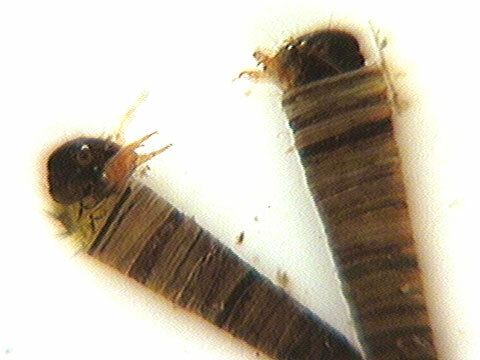 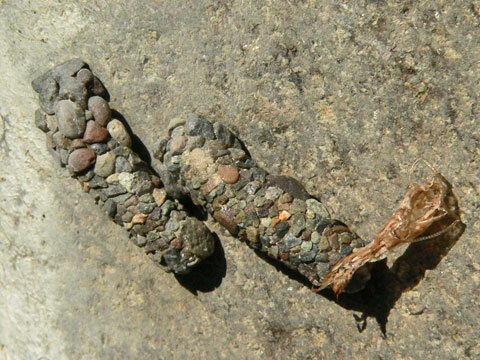 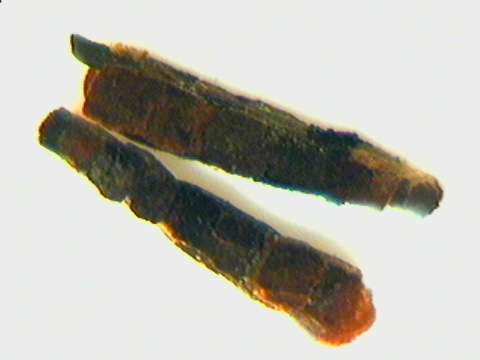 The first two images are of a specimen found in the upper watershed. 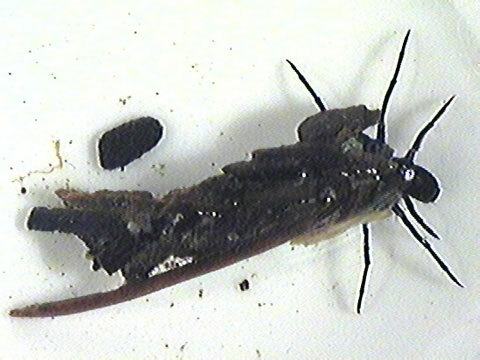 The third was found lower in the watershed at Lewisville Park. 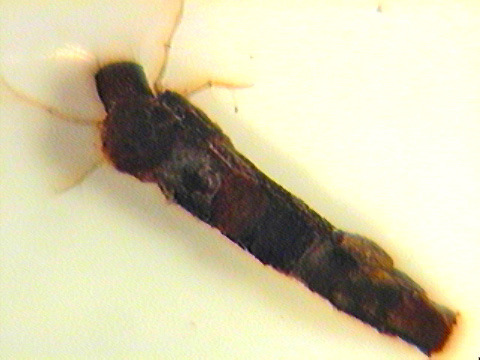 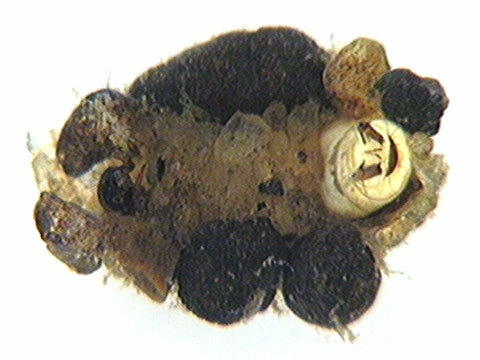 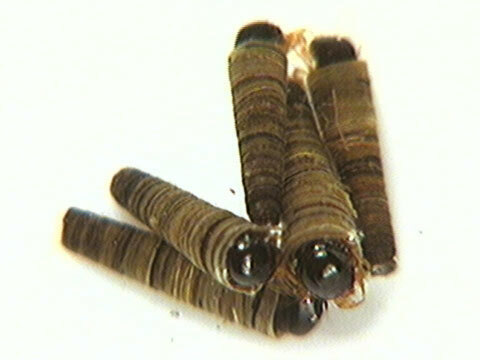 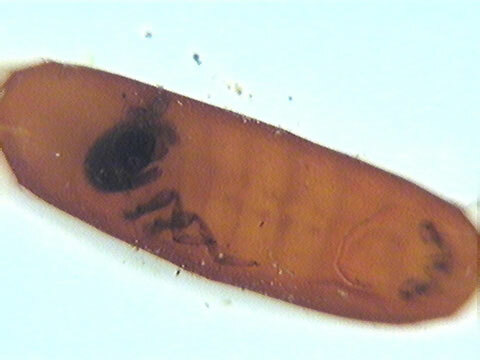 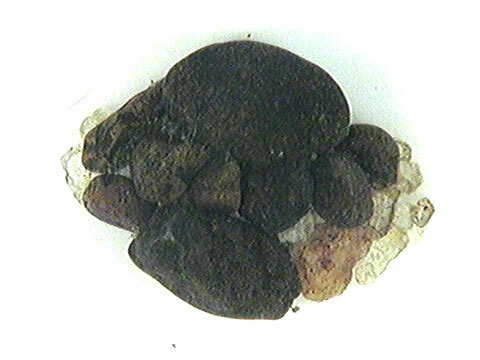 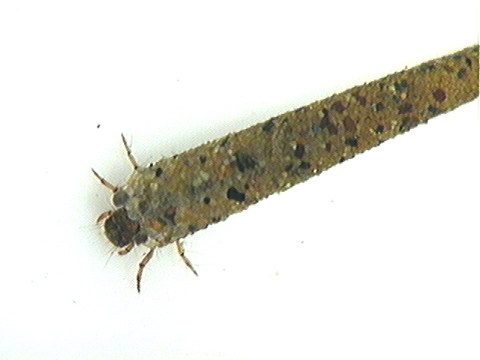 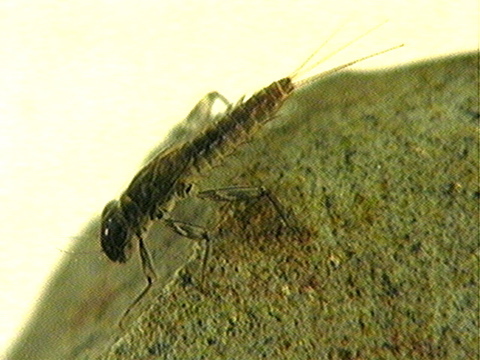 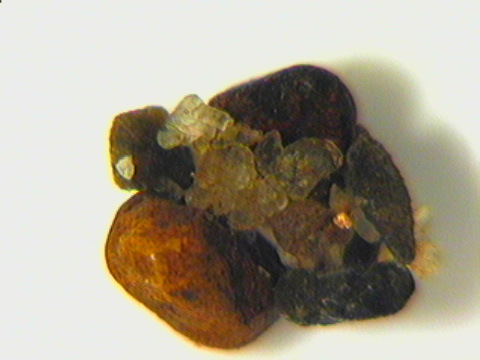 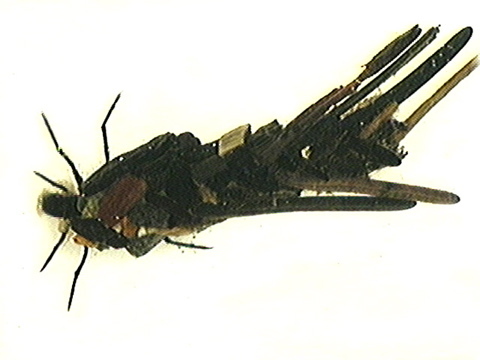 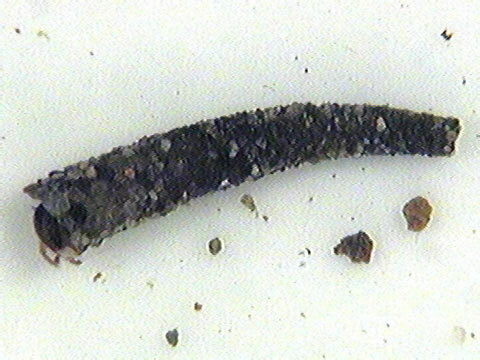 This last specimen was found "floating" in the sample, without a case. 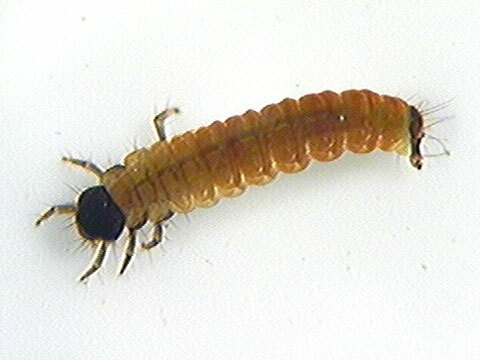 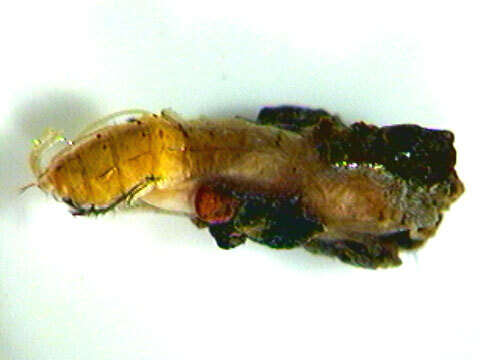 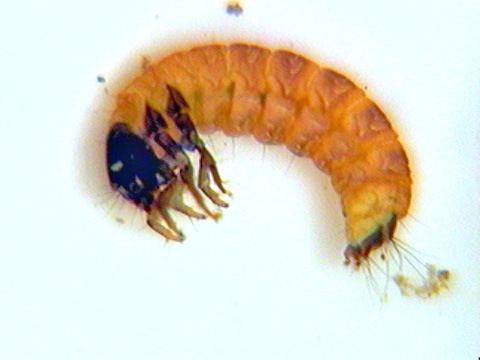 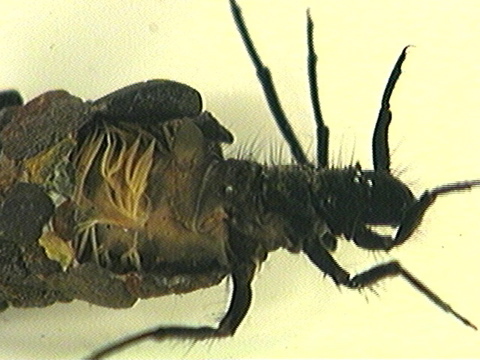 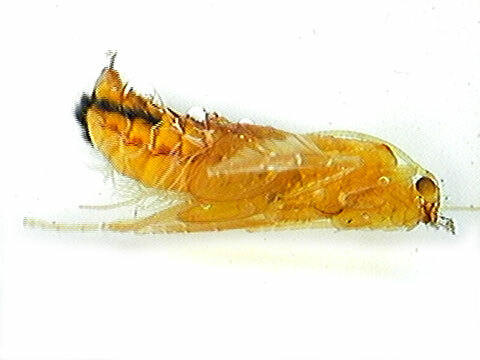 Notice the yellow body and row of black hairs on the lower abdomen.